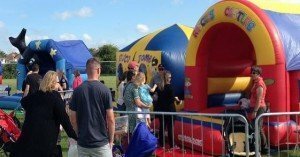 Bouncy castles will be in the park throughout the school holidays (weather permitting). 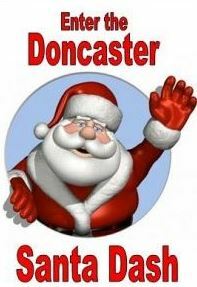 Further information about Rascals Bouncy Castles can be found at www.rascalscastlesdoncaster.co.uk. The park toilets will be open from today (Saturday 19th March) until the end of October. 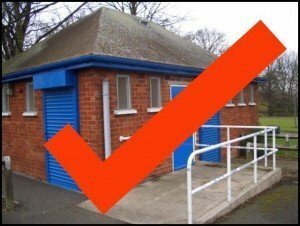 The toilets are funded and cleaned by our volunteers so please treat them with respect. If you see anything suspicious please report it to us via our website or Facebook. The next meeting of the Friends of Sandall Park is tomorrow evening (Wednesday 16th March) – start 7pm at Sandalwood Communal Hall. If you want to know the latest in the park developments you really do need to be there. Today was the last big outfit collection day before next Sundays Santa Dash. Volunteers were on hand to hand out Santa suits to those who had already registered as well as accepting new registration. A brief storm did mean that the baby change facility was quickly re-designated as Santa’s depot! 62 Santa suits were handed out and and an amazing 73 new registrations accepted. 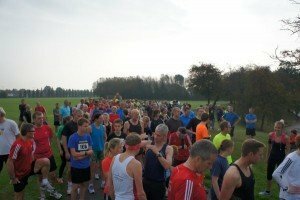 Our thanks to everyone who came down and it was great to have a natter about the park.